We are now well into the 2016/17 season and seeing some great success on the pitch across both ladies, mens and junior club. The Ellis proving its worth, playing well and drawing bigger crowds than ever into watch games. - your commitment to playing regularly on a Saturday to ensure the club meets its financial commitments, and you enjoy your hockey. The Club needs to maintain 10 squads on a Saturday, and recent weeks have shown this to be a real challenge with availability. Please continue to support your club as we enter the second half of the season. Burton HC has seen really positive start to the season in many parts of the club with lots of success coming on the pitch. With a new formation in place across the whole Ladies section, and alot of hard work and training pre-season, the ladies section have started the 16/17 season very strong. In a tough league, the ladies 1s have won 4, drawn 1 and lost 1, leaving them only 3 points behind top of the table. With a few new additions to the team and four U16 members of the squad putting in outstanding performances, the aim of promotion this season is seeming evermore achievable. Ladies 2s have not lost a game yet with 5 wins from 7 so far seeing them sitting high in the league table. Having focused on perfecting the new formation, the team is now showing consistent results and good on-pitch team relationship. After promotion last year, Ladies 3s have won 2 games and the team has already shown development from last season, working hard together in training and matches as well as welcoming a new keeper into the squad. With availability low, the Ladies 4s are coping well with often having no subs and are comfortably sitting mid table with 5 wins under their belt in a tough league that contains some first teams. The Mens 1s and 2s squad are seeing higher numbers than ever at training and are really starting to develop an exciting and competitive style on play under their new coach. Its fair to say that Mens 1s have had some tough opening fixtures against top teams in the league, but recently have started to find some form with good wins over Stone and Warwick University. The 2nd team have found real form and are scoring goals at will, with 4 out of 5 wins, and 22 goals scored in 5 games. The 3rd team have had a nice solid start to the season, with a 50% win ratio putting them mid-table. The 4th team have one of the hardest league in the mens section and this is reflected in the results with only 1 draw from 5. The 5th and the 6th team both play in the same league and the highlight has to be the 4-3 thriller that the 5ths edged. Currently the 5ths have 10 points and the 6ths 1 point. Tell us a bit about your hockey playing and coaching experience? Started playing at 8 years old in the junior section at Tamworth Hockey Club, played first senior game at 11, made 1st team debut at 12. Moved to Burton at 15 and been here ever since. Also played county hockey from u13 to u21s and regional hockey u15s. Started coaching in 2015 with Burton ladies and have recently started coaching the Derby Uni Mens side. Have also helped out with JRPC coaching at different age groups and venues over the summer. Who is your hockey idle and why? I never really had any hockey idols as I was growing up but I really liked Muhammed Ali as a sportsman. In relation to coaching I suppose you could say my idol or role model was Kev Heath, I used Kev as my go to guy when I started coaching for any help or queries. I think Kev has contributed massively to not only my development as a coach but to the club as a whole and should be greatly respected for doing so. Most memorable moment as a player/coach? As a player our unbeaten season that gained us promotion to Midlands Premier, that season was something special. 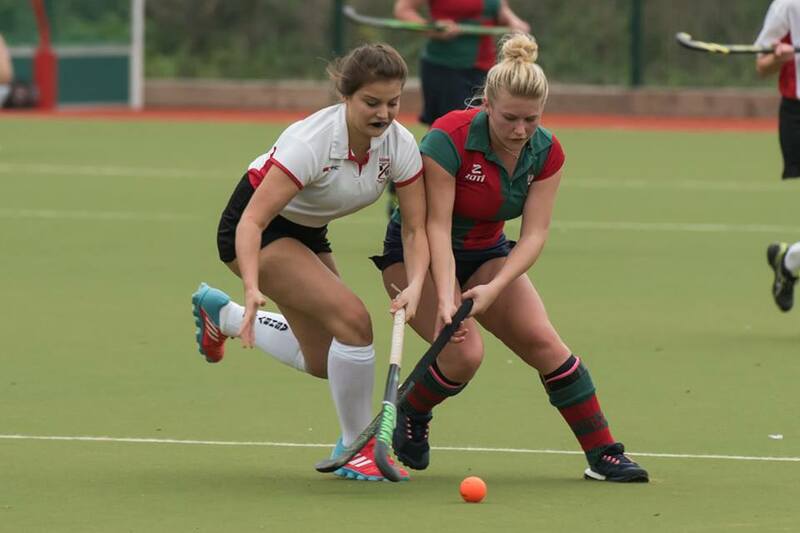 As a coach, a performance from the ladies 1’s just a few weeks ago against Beeston 3’s. They played the best hockey I have seen since I have been coaching, tearing a good Beeston side to pieces. I stood on the sideline for 70 minutes without having a worry in the world. Thank you Ladies. I like to try and keep things simple in my coaching, nailing the basics is the most important part of hockey, all the fancy stuff can happen later. I also like my sides to be able to out run the opponents, something which is evident with our ladies 1’s side showing that lots can be done in the last 10 minutes of a game when others are tiring. Beef Chow Mein from the local Chinese takeaway. Shawshank Redemption, quality film if you have long enough to watch it. What 3 things would you want if you were stranded on a desert Island? Buy a house with my very own hockey pitch. After hockey on a Saturday night, you’ll normally find me….? Still chatting about Saturday’s games. Lots to cover with the ladies section. Who has the final say, Ladies 1s coach or Ladies 1s captain? 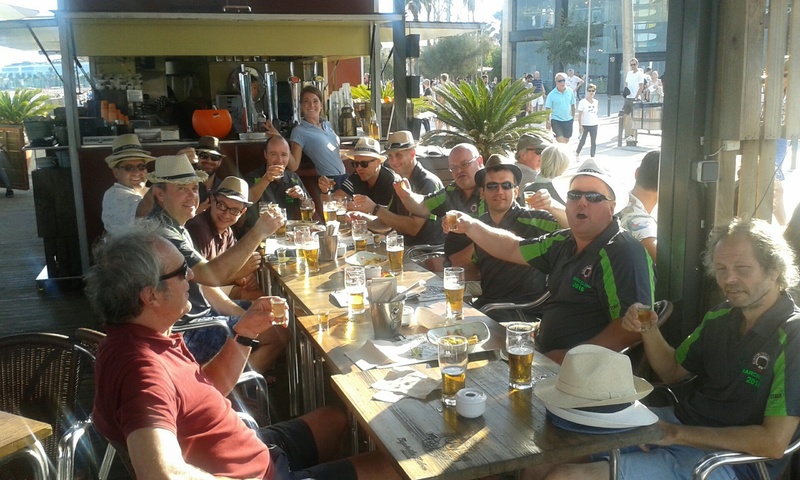 Burton Hockey Club have recently returned from their 20th annual hockey tour to the Catalan city of Barcelona, having started out in 1997 the hockey competition has flourished and enabled Burton to return year after year. In addition to the 20th celebration, it is also the clubs Brewsters (Burton Hockeys mens touring name) 80th anniversary, having embarked on their first tour in 1936 to Bournemouth with a different squad to this one of course! Although tour veterans Ian Harrison and Niall Bradfield nearly made both! 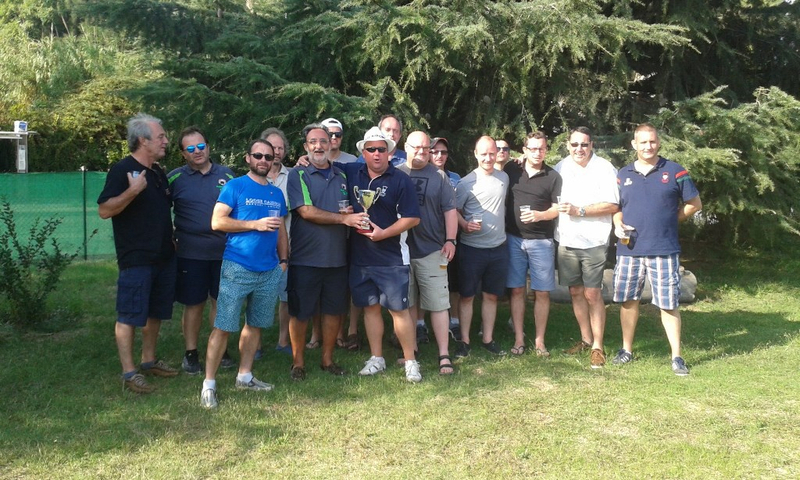 Burton are welcomed each year with open arms as the sole UK representatives in the Catalan Hockey Festival over the La Merce weekend in BarcelonaThis year Burton played 5 matches, 3 on the Saturday against Club Egara, who boasted 3 olympians in their squad, Castelldefels and CD Terrassa. 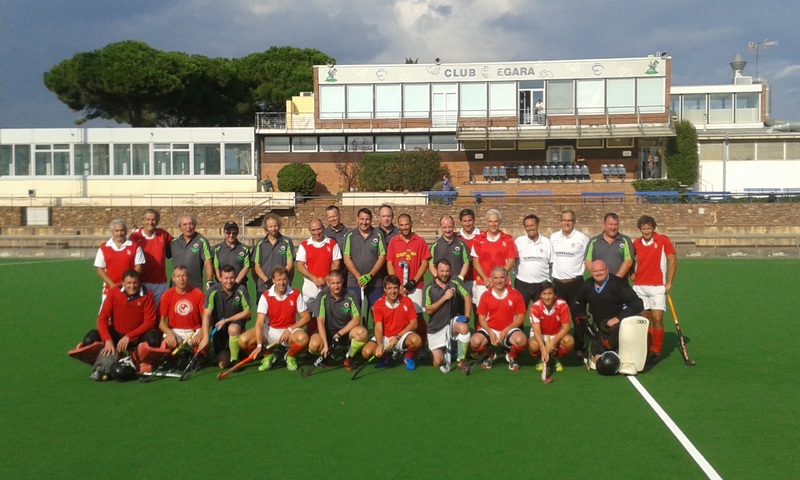 The venue at Deportivo Egara in Terrassa was stunning, with excellent facilities enjoyed by all the clubs with a brand new pitch to be inaugurated. During these games it was Burton who scored the first goal of the tournament, a wonderful passing move right through the team finished off by Ed Clamp who smartly lifted the ball over the advancing keeper to slot into an open net. All matches were tight affairs with a particular mention to Angus Falconer & Dave Shaw in midfield keeping up the effort to deny the opposition space. Anthony Kemp and Steve Morrison and the forward line enjoyed some good space and were always alert to keep the defenders on their toes. The defence also kept a tight rein on the opposition, well marshalled by Ian Whetton in goals. Veterans Ian Harrison and Niall Bradfield were in good company with skipper Ian Brown to keep the advances at bay. On Sunday, the festival organisers switched venues to Club Iluro for the final 2 matches, a wonderful setting overlooking the ocean. Burton entertained Iluro and Club Mediteranean. Competitive matches ensued and Burton notched some further goals, with Anthony scoring a hat-trick in the final match of the festival. Steve Goodfellow and Matt Clamp proving good sources of supply with some excellent crosses for Kemp to feed off. In the end Burton finished with 2 wins, a draw and 2 defeats and picked up the 4th place trophy. Iluro then hosted a wonderful Barbeque for the competing players and hosts and 20th annual celebrations could begin in style. A great tour for those whom visited and some excellent memories. Indicative dates for the 21st anniversary tour in 2017 are 21st to 25th September. There has never been a better time to get involved in hockey aside from just playing, and give something back to your club. One of the ways you can do this is through umpiring. Speaking from personal experience, umpiring is a great way to learn more about the game, develop your self confidence, and take all of this into improving your own game. Every week your club needs both qualified and non-qualified umpires for games at all levels. 2. Complete the Umpiring Education course online. The best way to learn and build your confidence is to get out and practice. Your club will pair you with an experienced and qualified umpire who will help all the way. If I could compete at the Olympics in one sport, it would be…? The committee wanted to update on an important matter around the club finances. Following the hugely successful pitch bid that has breathed some new life into the clubs activities, the Ellis giving a “home” after some 25 years of renting from East Staffordshire,we committed as a club to save £15,000 per year towards its upkeep and carpet renewal in 10-12 years time, giving us a pot of between £150-£180k to replace carpet and shockpad, this was critical to the bid for sustainability. The business plan was simply costed to cover this sum by saving the £20k per year we were paying for pitch hire, less the electricity for the floodlights and some insurance costs. Thus keeping our general club operations at the same level for investment into kit, coaching & training. However, due to the unexpected loss of the mens 7th team last season and the struggle we are currently encountering in fielding full strength Mens 6th and Ladies 4th teams, there is some pressure falling on the finances and its is expected we will not achieve the first years £15k target, mainly due to lower subscription and match fee collections. A total of 29 members moved on, however, we had 10 new members joining us with a net loss of 19. 5. Subs were frozen with incentives provided to pay on time. In addition the committee has taken the decision to support the coaching network by allowing the advanced squads to select 25 or 26 players each week, in an attempt to raise the standard in those squads and seek promotion opportunities. This however, has placed pressure on member numbers within the club, and we need to remember we are a club and not teams/squads within a club. It is expected that the club maybe able to make a 50% contribution towards the £15k requirement next April (2017) based on our current forecasts. This assumes the Mens 6th team and Ladies 4th teams are maintained and are fully supported by the entire membership. The committee cannot let these teams fold nor not fulfil their scheduled fixtures. 3. Fundraising – Glyn is liaising with the former “astro committee” to agree a provision plan for ongoing fundraising to fill the gap. Blackouts, sponsorship, Race Night, Sportsmans Dinner, Auction etc… all to be considered. But the attention of all members is required to get involved in such activities, if you have any ideas or organisational strengths please draw these to our attention. A. Well thanks to the academy and some dedicated coaching we have a full under 14 boys squad, which will filter in the senior club next season – certainly bolstering lower squads numbers. A regular flow of young ladies is evident in the ladies squads and those younger members should be encouraged to progress. B. Our coaches have formed progressive links at Derby Uni, not only do we have members in our senior squads we have the Uni hiring our pitch for their own training. 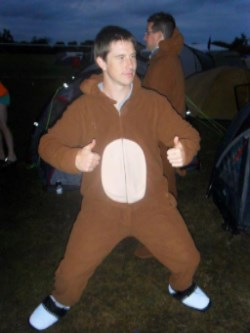 We hope this link is further enhanced. C. Primary School and Senior School leagues are in the planning for Jan to April 2017 to encourage sport participation and links to Burton HC academy and senior club. D. We are also able to offer “free” hourly sessions to any school wanting to hire the pitch following a generous grant from the J&O Lloyd Trust. We will utilise this alongside the mini league in point C.
So whilst this year has been a challenge with a shift in membership numbers, I want you to understand the message that we have a need to pull together and make ourselves available to play for the benefit of all members. If we do that we will pull through this situation. The club committee do have options available to ensure we can navigate this as already described above and will keep reviewing the situation. The committee will keep you abreast of matters as we move forward via the newsletter, the website and facebook. Please contact the committee (your captain) if you feel you have some time to give or just wish to get involved in a project. I would like to welcome two parents to the committee Mrs Shenton and Mrs Pendleton, some excellent input already and great to see a family view expressed for consideration, More volunteers are very welcome. Copyright © 2016 Burton Hockey Club, All rights reserved. You are receiving this email because is signed up to receive emails from Burton Hockey Club. If you prefer not to receive emails of this type, you can always unsubscribe with one click. If you would like to manage your other subscriptions, click here.